The trial was again stalled yesterday following the absence of his lawyer, Mr. Olanrewaju Ajanaoku, who had on three consecutive occasions avoidedproceedings. Evans, who is standing trial alongside three of his gang members: Joseph Ikenna Emeka, 29, Chiemeka Arinze, 39, and Udeme Frank Upong, 43, was arraigned on seven counts of murder, attempted murder,conspiracy to kidnap and selling of firearms. 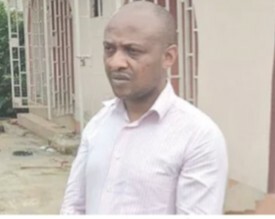 However, securing a stable counsel to defend Evans has been a tough journey for the alleged kidnap, who has in the past one year and four months, engaged the legal services of three lawyers since his arraignment sometime in November 2017. While his first counsel,Olukoya Ogungbeje, discontinued on claims that his life was under threat, the second counsel, Mr. Neol Brown, left over unknown reasons. The continued absence of his recent counsel, Ajanaoku,over issues of unpaid legal fees, has prompted the court to order Evans to defend himself or seek the representation of a legal aid. Earlier during yesterday’s proceedings, the Chief State prosecuting counsel, Adebayo Haroun, urged the court to invoke sections 233 (3) of the Administration of Criminal Justice Law (ACJL), which empowers the court to appoint a counsel for the defendant. Following the submission of the prosecutor, Justice Oluwatoyin Taiwo ordered Evans to defend himself or seek a new counsel. Justice Taiwo said: “I have told you (referring to Evans) the options; defend yourself, get a new counsel or I’ll appoint a legal aid counsel for you. “On this circumstances, I’ll adjourn this matter till May 10 and the 1st defendant must provide a counsel or defend himself". *He cannot pay their fees anymore....Times are hard. I'm tempted to say 'eyaa' but the guy has committed a lot of crimes. Why is the case this longgg. Can they just end it last last it's either life imprisonment, hanging or what cos I don't see him getting back his freedom. Exactly Stella. He can't pay again. No be today now...na dem sabi...the guy crime sef too much. Eya sorry Mr Evans well, I think he should be able to afford the service of hungry lawyers.I guess the lawyers he is using are demanding huge sum of money. Let him opt for a fresh graduate lawyer that will defend him. Last, last Evans will still be imprisoned. I don't why his case is delayed. Why is he still alive. Wicked soul human being. Living large by killing people. Rot in hell. Stella, when I told u previously that chino obiagwu and his lawyers of legal defense and assistance project were scam, u swallowed my comment. He had to abandon Evan's case cos he was pursuing it initially to get his SAN title. Now that he had gotten it...e don jaapa. Useless phedophile of a lawyer.